Although much attention has been paid to reading notes, so far we’ve spoken little of how to read rests. Reading rests is actually very important. 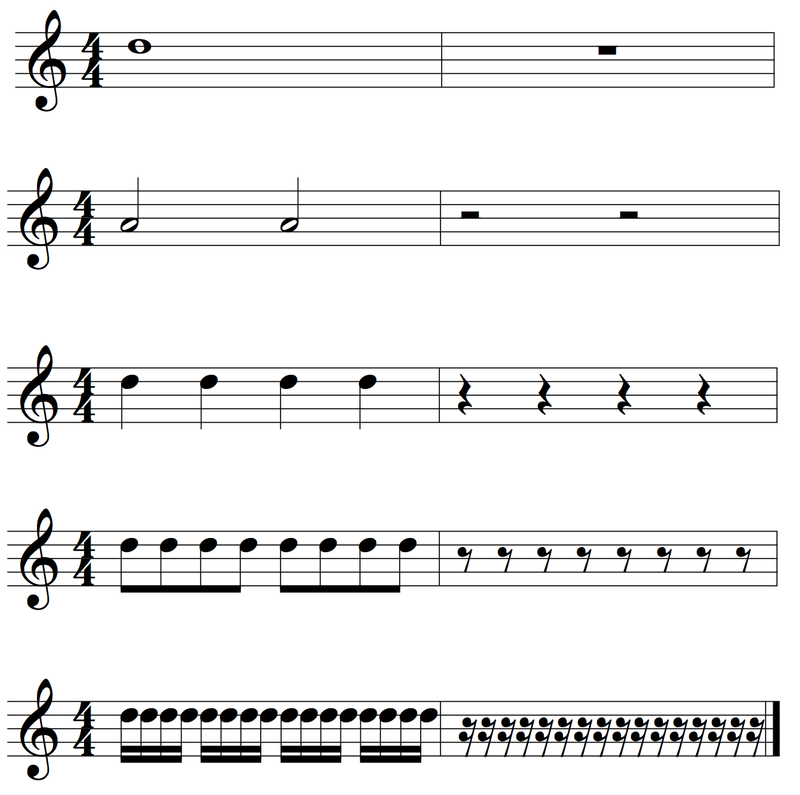 Rests determine the space between notes, so if you don’t read the rests correctly, you also won’t be reading the notes that precede or follow the rests correctly. The good news is that there is a system of notating rests and each rhythm in this system corresponds exactly to a written note rhythm. So you do need to learn to recognize the rest symbols (and understand their value or duration), but you don’t need to learn anything completely new. Important tip: When reading or performing music, you must also perform the rests. Although the rest is silent, you can perform it accurately by vocalizing it softly under your breath, or by imagining it in your head, or tapping out its duration quietly. After the first sixteenth note, rests are written as an eighth rest with an extra branch coming from the stem symbol signifying further subdivision. This is repeated infinitely.